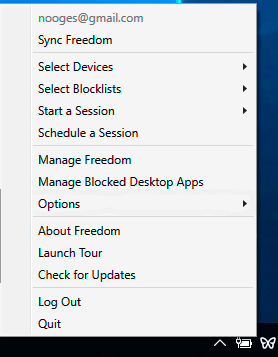 How to opt out of automatic emails regarding problems with your Freedom sessions. 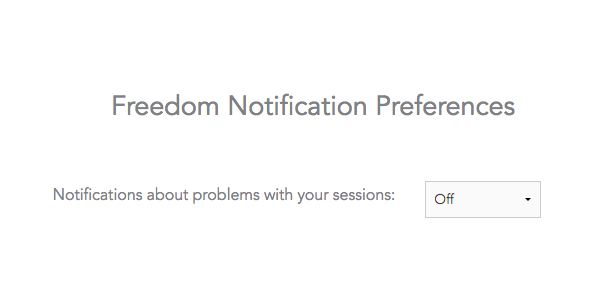 Issue: I keep getting emails about issues with my sessions, but I would like to stop receiving these messages. 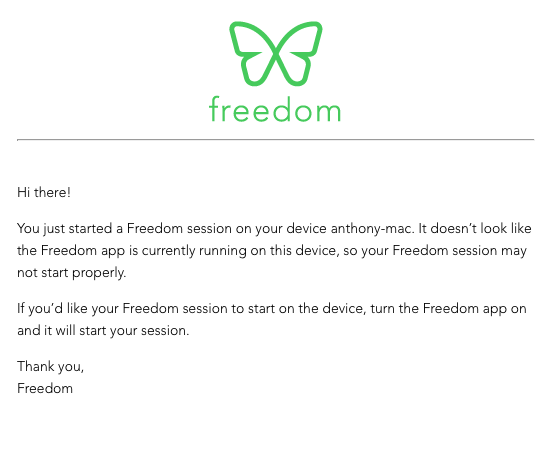 To clarify, you'll receive these emails when you attempt to start a session and we detect that the Freedom app is not running on one or more of the device selected in your session. On Mac and Windows, the solution is to launch the app and make sure it is running by looking for the butterfly icon in the menu bar (Mac)/taskbar (Windows). On iOS, simply open the app for a moment to sync and then be sure to leave the app running in the background. 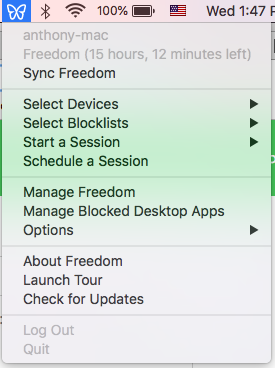 If you would like to opt out of these emails, you can manage your preferences from https://freedom.to/profile/notification-preferences. Just turn your settings to Off and you will no longer receive these emails.